Property prices are rising fastest in the west of Ireland, official figures have revealed. In the year to the end of February the market in Dublin was up just over 8pc but in parts of the west, which includes Galway, Roscommon and Mayo, the prices increased almost 20pc. The Central Statistics Office (CSO) said there is no data to fully explain the huge jump but a spokesman added that it could be partly explained by the region experiencing growing demand after lagging behind the recovery in the capital. Overall the property market is about 30pc below where it was when the crash hit in 2007. And the Institute of Professional Auctioneers & Valuers said prices will continue to rise until supply starts to increase. Chief executive Pat Davitt said: "There are only a few large operators building residential in Dublin city. "This lack of competition is fuelling price growth and also dictating a tendency to build in areas that can command higher prices." Mr Davitt said the big impediments to house building included a lack of knowledge in government of the true cost of construction, the inability of smaller builders and developers to access finance and at reasonable interest rates, a lack of competition in the lending market, mortgage lending rules and a risk-averse attitude among lenders. The housing market report was released amid concerns that Department of Housing data on house completions is inaccurate. It recorded that 14,932 homes were finished for the market last year but experts warned that might include homes that have been empty for two years and require a reconnection to the electricity network. Sinn Fein's housing spokesman Eoin O Broin said the Government's numbers could be inflated by as much as 50pc. "If the Minster for Housing (Simon Coveney) genuinely wants to reach his target of 25,000 new homes by 2021, he has a duty to publish the most accurate housing completion figures he can. "The department must publish accurate quarterly completion figures in order to assess its true progress towards reaching this target," he said. The CSO report revealed 37,294 homes were bought in the 12 months to end of February. A quarter of them were by first-time buyers and 23% were by people or investors who will not be living in them. 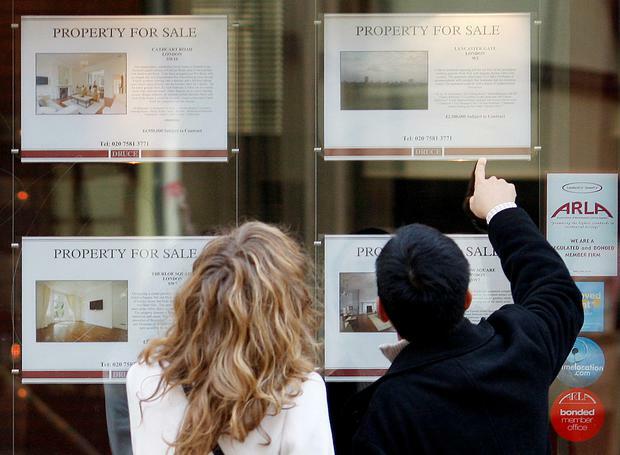 The data also showed that the average price paid for a home in Dublin in the year to February was 398,319 euro. The cheapest county to buy a home in was Longford, with an average price of 87,584 euro. Davy Stockbrokers said house price inflation was on track for double digit growth this year. It added: "There is now little doubt that the loosening of the Central Bank mortgage lending rules and the Help-to-Buy scheme have added impetus to Irish house price inflation."